Biosphere Holidays secures all clients Personal Information. Biosphere Holidays does not sell or trade upon any of the above foregoing information without the consent of the user or customer. We collect Personal information such as name, gender, mailing address, mobile / telephone number, email address and travel details. Information obtained from the clients is either through phone, website or facility of email. The information received from our clients is stored to maintain a database of all our clients. The customer should be of age 18 years and above to give information and in no way is under any influence for the same. To ensure service completion from our side, We use third-party service providers to serve ads on our behalf across the Internet and sometimes on this site. 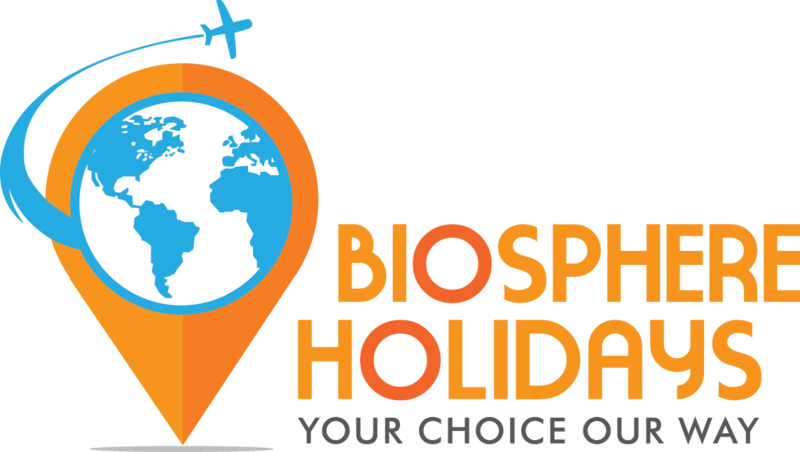 Biosphere Holidays will also disclose the information to third party in cases where it becomes essential to comply with the necessary laws in protecting the safety of P Biosphere Holidays and its clients. In accordance to the transactions, no money transactions occur directly through the company. All payment procedures direct our clients to a third party gateway (information such as credit card number, cardholder name, expiration date). Hence, the company is not liable for any damage or loss of client’s personal information. Likewise, the company is not liable for loss of any type of personal information related to the account details or information related to the use of credit or debit card of the users.